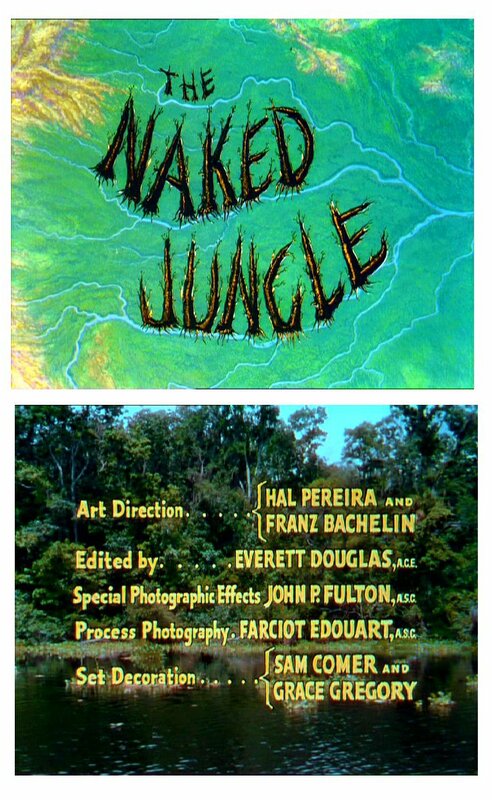 George Pals' THE NAKED JUNGLE - more ants than you can shake a truckload of pest repellant at! Another favourite visual effects extravaganza here, George Pals' 1953 "THE NAKED JUNGLE" starring a young Charlton Heston and Eleanor Parker as a dysfunctional couple on a plantation in South America which is under siege to billions of flesh eating ants. 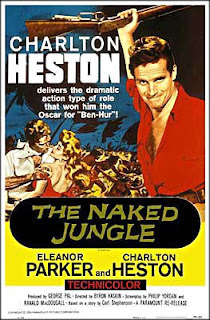 A well paced and exciting adventure directed by old time Warner Brothers Special Effects department head Byron Haskin - who himself would direct a number of effects driven pictures such as "TREASURE ISLAND", "WAR OF THE WORLDS" and "ROBINSON CRUSOE ON MARS". 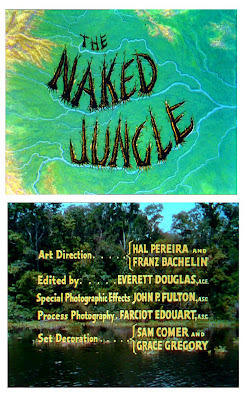 "THE NAKED JUNGLE" is another of my "why didn't it get the effects Oscar" candidates as it is a film packed with generally outstanding special effects of all types - miniatures, matte paintings, optical split screens, rotoscoping, animation and great full scale effects too all supervised by the legendary and mercurial John P.Fulton. "THE NAKED JUNGLE" was one of Fultons' first films under his new tenure at Paramount - having worked for decades at Universal on a myriad of classic gothic horror pictures followed by a short stint at Samuel Goldwyn and an even shorter stint as an individual contractor outside of the studio system on films such as "TULSA" and "JOAN OF ARC" in the late 40's.
. Top left special effects supervisor John P. Fulton; top right matte artist Jan Domela; middle - a group photo of the Paramount visual effects unit celebrating their Oscar win for "THE TEN COMMANDMENTS" two years later. 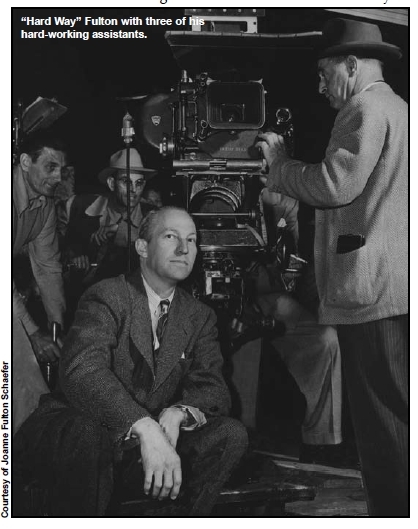 Middle of back row is optical printer operator Carl Lerpae, second from right is matte artist Jan Domela, next to him on right is process expert Farciot Edouart; second row centre is optical line up man Dewey Wrigley jr; Front row - kneeling at left is miniatures supervisor Ivyl Burks, next to him Effects cameraman Wallace Kelly (? 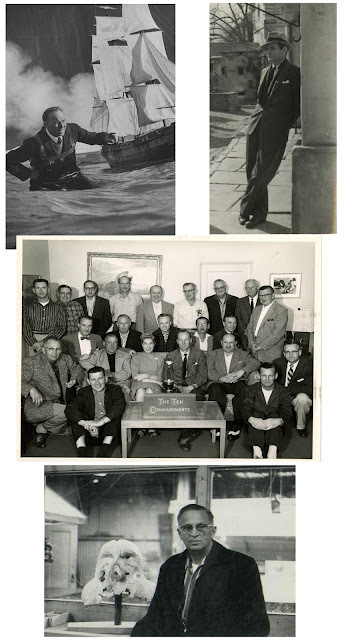 ), then possibly Carole Beers or Ann Lord who were key rotoscope matte technicians; middle in front of Oscar is Fulton. On Fultons' right is Optical Effects man Paul Lerpae. Bottom photo is of miniatures expert Ivyl Burks posing here with an alien mask from "I MARRIED A MONSTER FROM OUTER SPACE"
Left - director and veteran effects cameraman Byron Haskin; second from right is producer George Pal. The first visual effects shot - a Jan Domela matte painting split screened with foreground live action by matte cameraman Irmin Roberts. 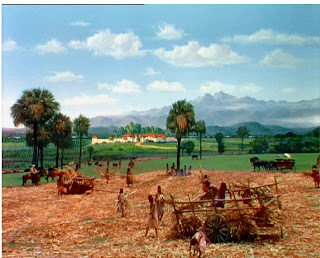 Two sprawling views of the plantation supposedly set in South America but produced entirely with matte art by Jan Domela. Agriculture under happier times - an extensive Domela matte painting combined with aminimal location foreground. 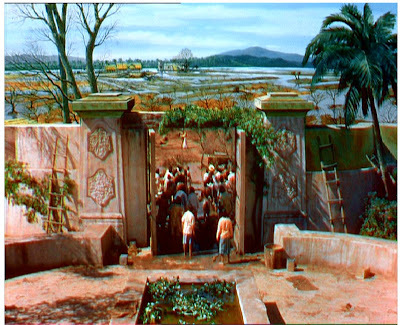 Top frame - an extensive Domela matte painting with several scraped away areas on the glass to provide backlit gag effects to simulate a seething mass of slowly advancing ants. Bottom frame Domela painted clouds and seperately painted moon on glass plates to simulate cloud movement. Some of Ivyl Burks excellent miniature set pieces as the dam bursts and floods the plantation. 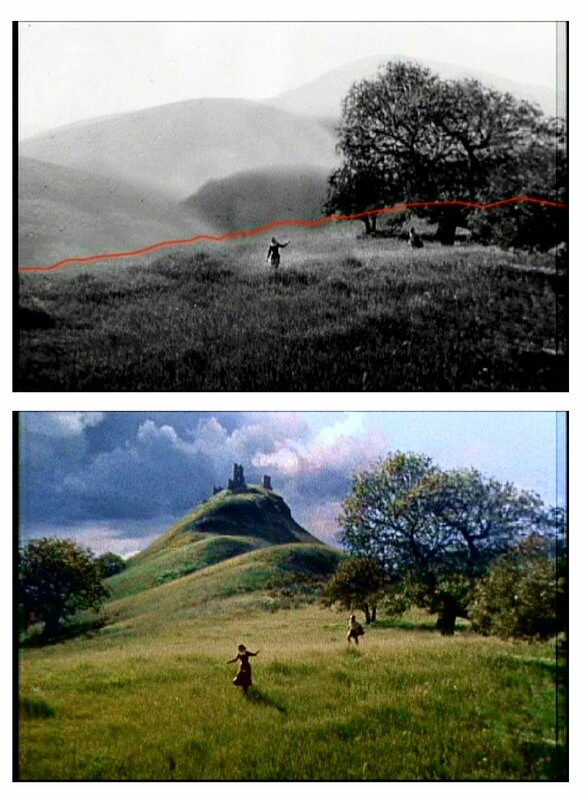 Presumably the miniatures were filmed out of doors in actual daylight - not a common method in Golden era effects shots, but a far more authentic feel was had by using natural light as opposed to studio tungsten light which unlike today could never accurately simulate the correct kelvin or colour temperature of real sunlight. Fulton was known for his preference in shooting miniatures in real settings such as on lakes, sea and similar whenever possible. 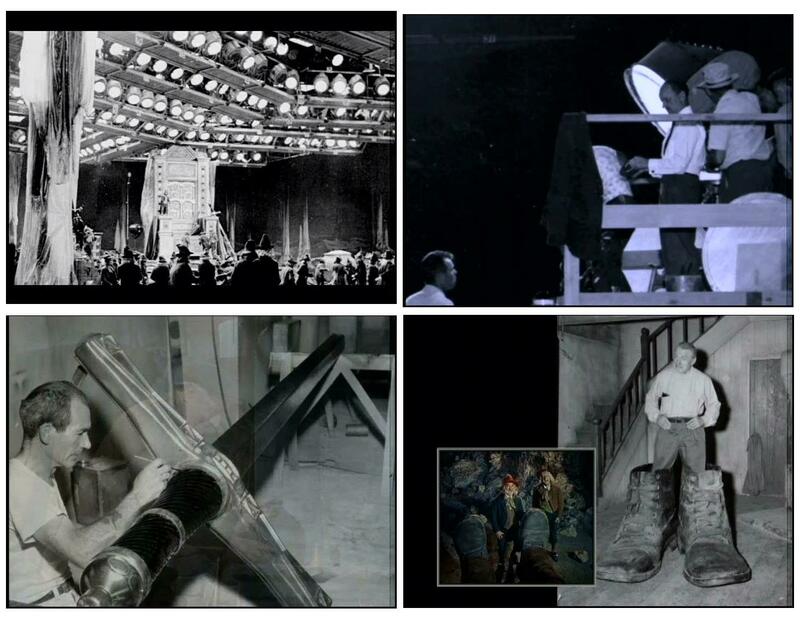 Miniature sequences were shot by Wallace Kelley, who would go on to a career as a director of photography on many Paramount pictures. 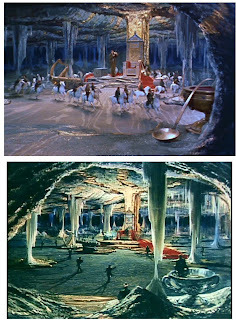 More frames from the flood sequence - all superbly designed and executed by Fulton, Burks and Kelley. The miniatures appear to be of a significant scale as the fire and water are very well proportioned - not an easy effect to pull off. Spectacular miniature cinematography and great sound mix add to the excitement. 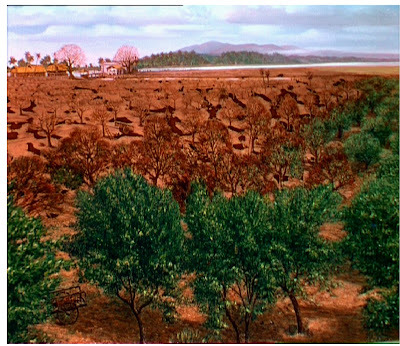 The subsequent shot involves Heston split screened against Domela's painted soil and vegetation, then a superbly rotoscoped torrent of water washes over and nearly wipes out Chuck Heston. 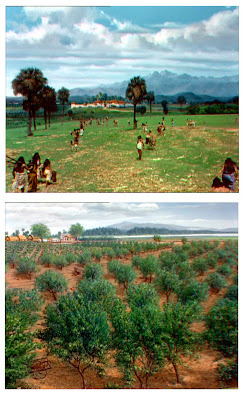 Paramount had a good roto dept headed by Gladys Halberg with roto artists Carole Beers, Helen Lampson and Ann Lord. 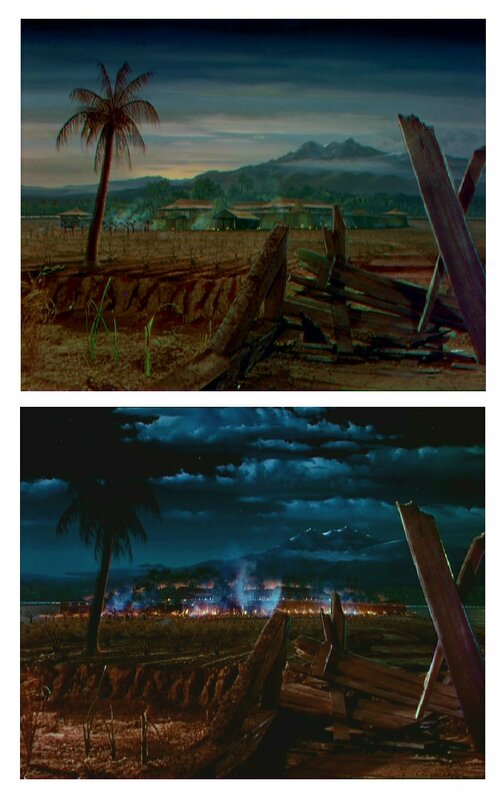 These ladies really showed what they were made of a couple of years later with the phenomenal and complex roto blending and multiple layering of the 'Red Sea' in De Milles' "THE TEN COMMANDMENTS" - dazzling and yet subtle roto that even on frame by frame analysis is still breathtaking. Chucks' plantation AFTER the ant attack! 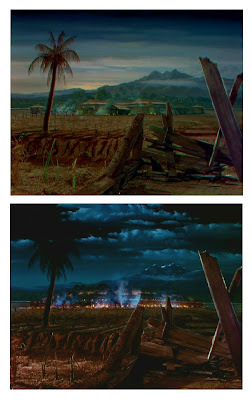 Completely 100% Domela matte art. 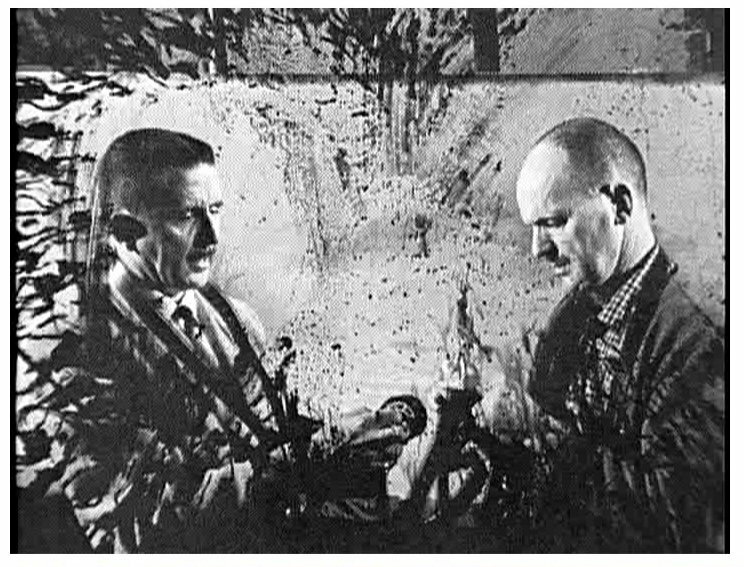 Chuck on a mercy dash - complex multi layered split screens and optical combinations with lots of real ants matted into foreground and Paul Lerpaes' optical printer manipulation of production footage. 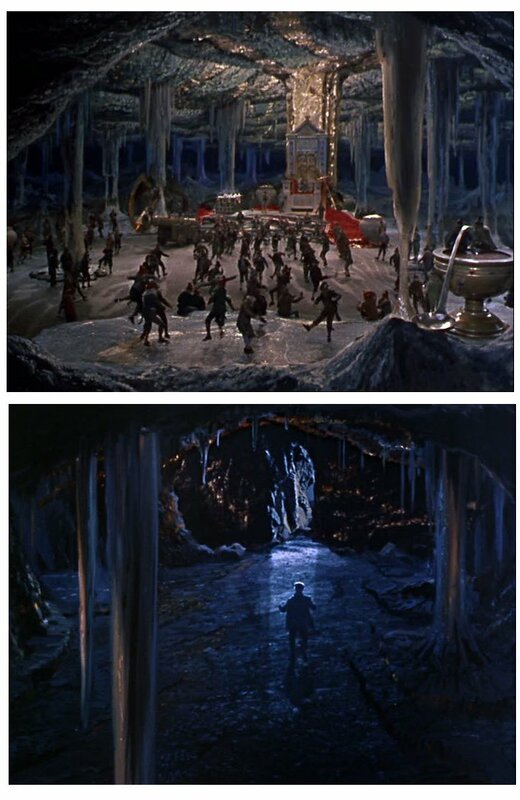 I can't decide whether the lower image is entirely painted with a blue screened in Heston or a hell of a lot of practical set decoration? 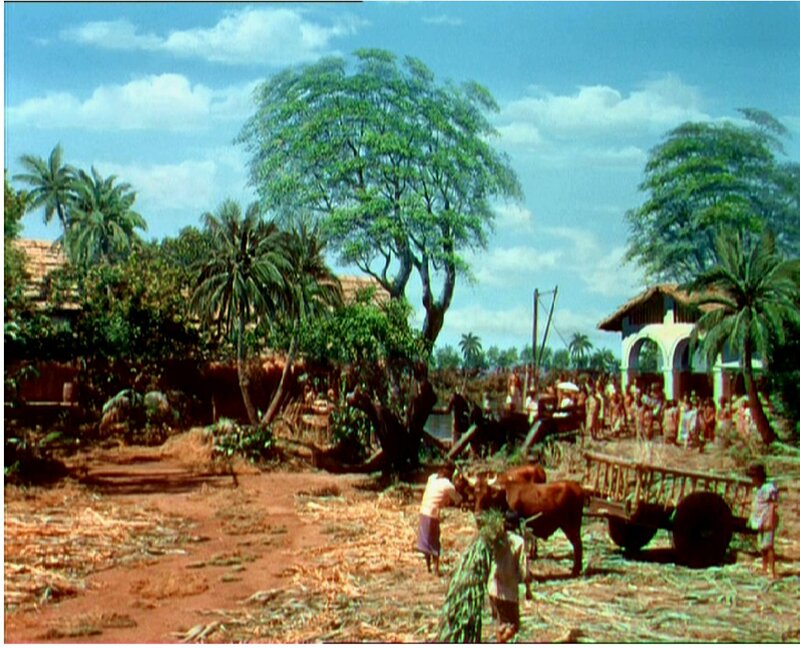 The finale - a fitting closing shot with an extensive Jan Domela matte painting taking up most of the frame. The curious colour in the dvd I am convinced is a result of shrinkage of the original 35mm elements or the individual matrices thus giving much of the film an annoying ghosting - something which is evident on reion 1, 2 & 4 dvd's unfortunately. 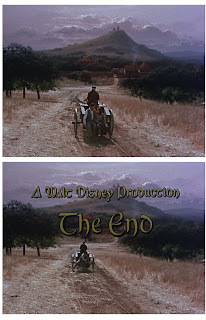 I presume a proper restoration was not available for this film. Murnaus' SUNRISE - silent storytelling with sophisticated optical effects. 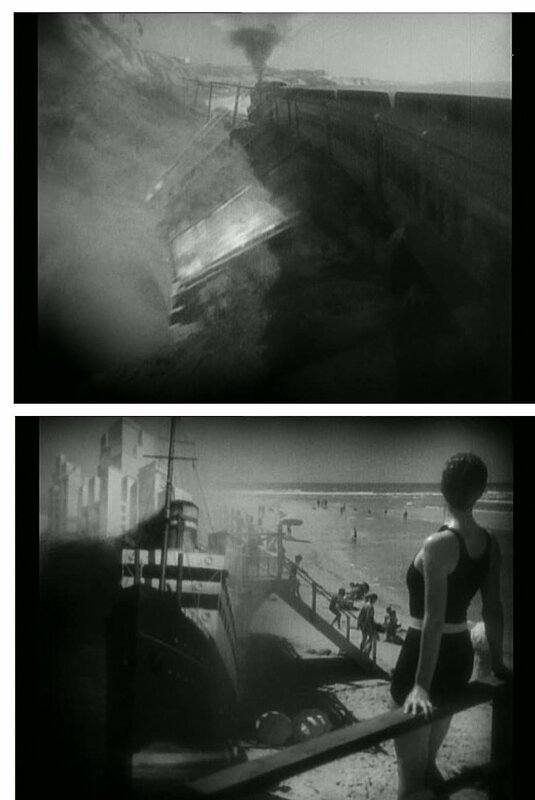 I'm not especially au fait with silent cinema, aside from the great silent comedies of Keaton, Lloyd and Laurel &; Hardy so I came into F.W Murnaus' 1927 love tragedy "SUNRISE" somewhat blind yet was stunned by the visionary photographic effects and trick shots that the film displays. 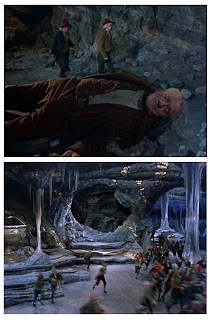 Aside from the standard matte paintings and miniatures, of which there are several, the picture has some incredible optical transitions and kaleidoscope styled visuals to tell the story. 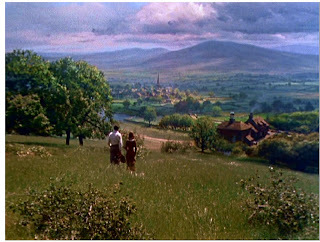 What impressed me most was an amazing one take sequence where George O'Brien and Janet Gaynor stroll out of church and across a busy street totally immersed in one another with fast moving traffic wizzing around them, with the single take continuing for over a minute and gradually dissolving from the hectic urban chaos into a beautiful orchard like setting of utter serenity. 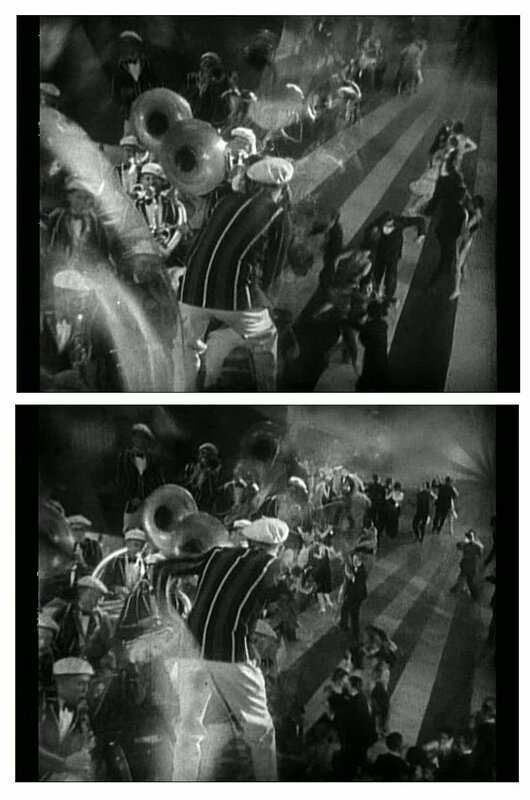 Now to modern audiences weened on this awful in your face mind battering CGI, this 1927 sequence will surely not be of interest. 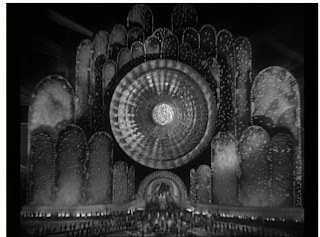 When one takes into consideration the fact that the entire uninterrupted set piece is a complicated optical effect, and a beautifully orchestrated and assembled one at that, even the CGI freaks may sit up and take notice. I'll elaborate on this sequence below. 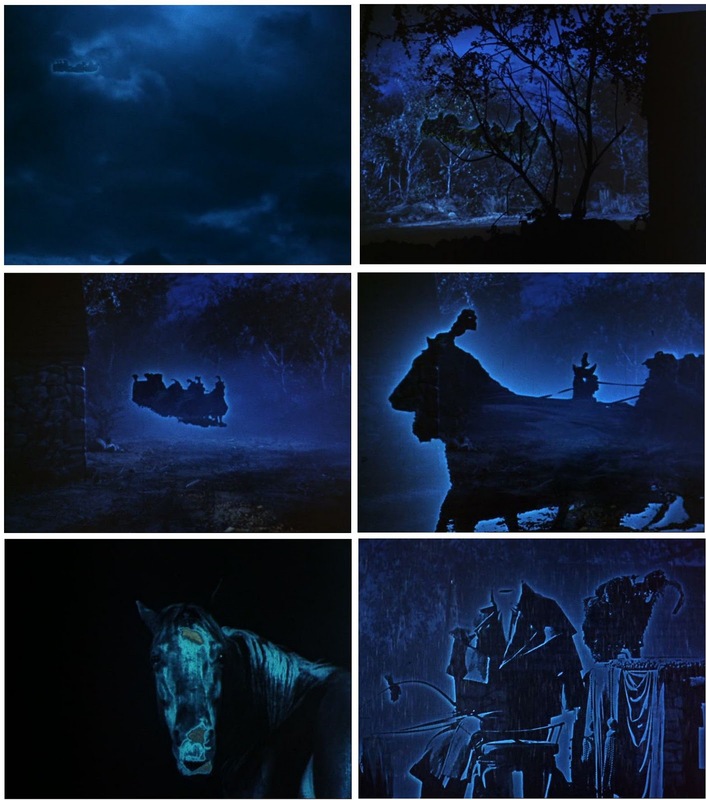 The effects work was by an uncredited Frank Williams - a genuine pioneer in special photographic effects and optical cinematography and the inventor of a moving matting system for motion pictures. 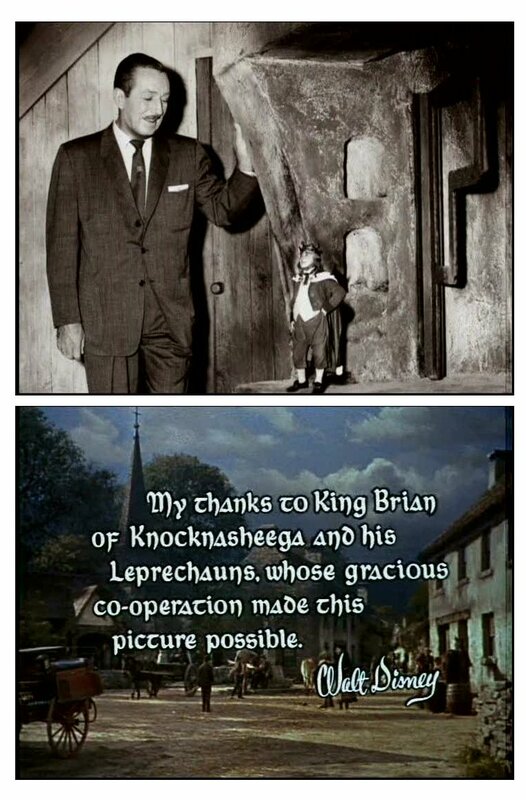 I would not be at all surprised to learn that soon to be master effects man John P.Fulton also may have worked on this film as he was Williams apprentice at this time in Williams effects house. A very young assistant cameraman by the name of Lenwood Ballard Abbott - better known later as L.B Abbott was also on the camera crew. 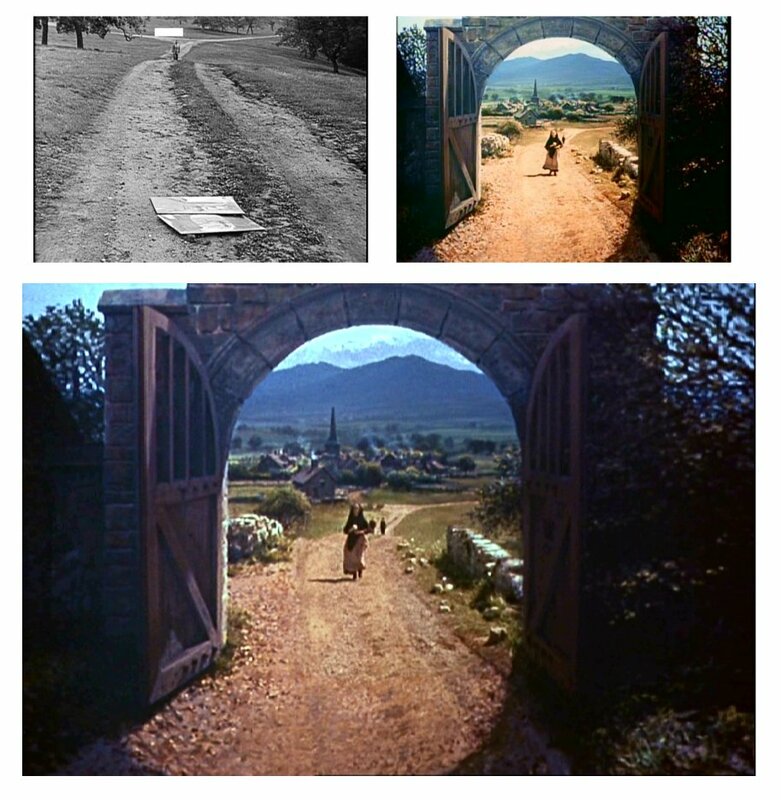 I must say that the remastered dvd (on the Accent label in region 4) is flawless and is a stunning sight for a 1927 film with barely a scratch or splice to be seen and only those exposure fluctuations predominant in silent cinema being the only adverse factor. 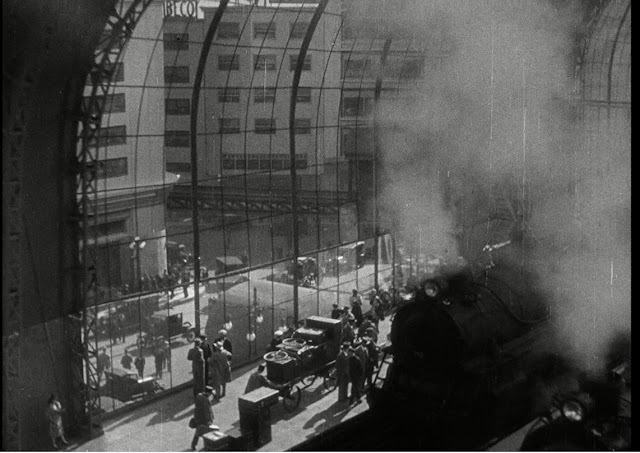 The opening montage and the train station is a complete trick shot, with the shot being fabricated entirely in the effects department. 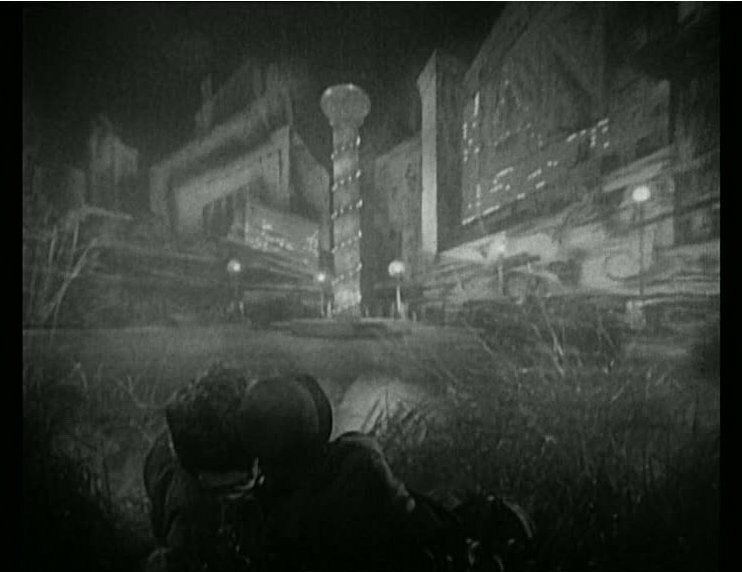 The train is a miniature and all of the superstructure of the station either matte art or miniature with the live action extras added flawlessly via the Schufftan shot technique. 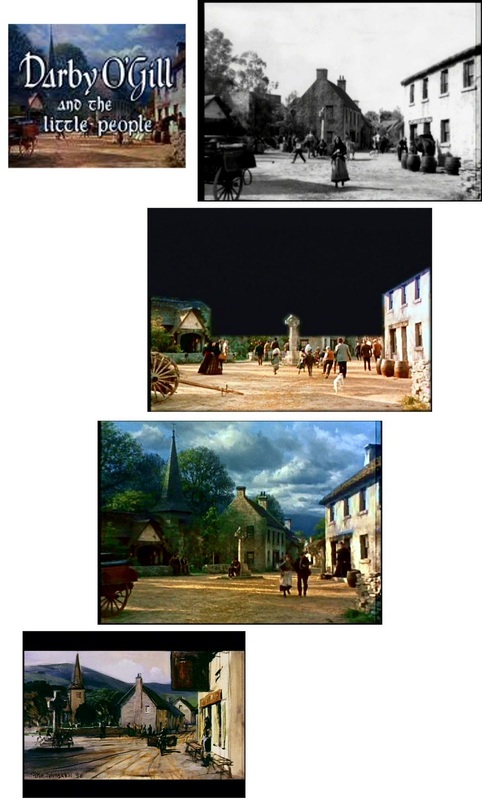 Part of the elaborate montage of cross fades and optical transitions that open the story - and very well done they are too, with as many as five individual elements in a single shot from what I could observe. Probably a glass shot or a hanging miniature of the fun fair entrance. 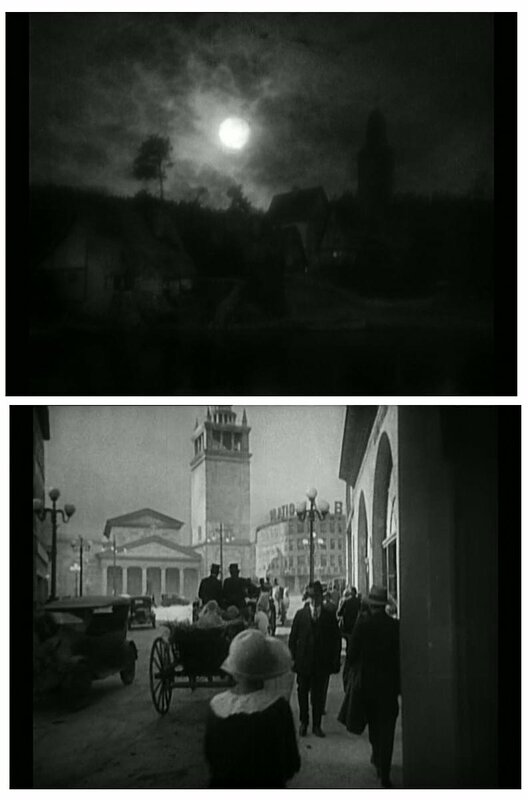 Like all aspects of the film there is a heavy German expressionist influence running throughout due to many of the key creators European backgrounds such as Murnau and cinematographer Karl Struss. 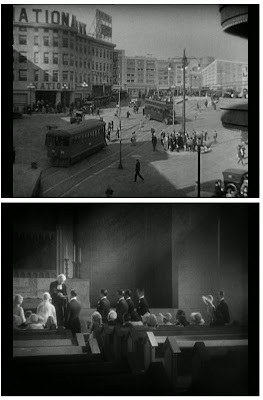 A superb blu ray grab of the famous Schufftan shot described above. 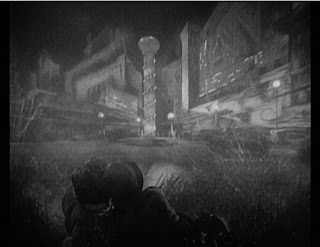 The dream sequence with expansive miniature cityscape complete with moving cars AND a travelling camera to simulate a vehiclular point of view doubled exposed onto footage of Gaynor and O'Brien in the grass. Focus must have been an enormous issue in shooting such a scene, and I gather the models were of significant large scale too. The above frames from a particularly hypnotic brass band segement with lots of movement and multiple exposures presumably done all in camera with rewind and multiple takes. Fabulous bit of film this. 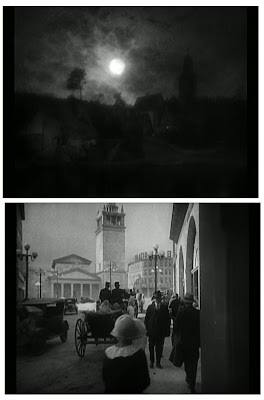 Two of the matte shots seen in "SUNRISE" with moving clouds above and perfect registration of city painting below, possibly suggesting a foreground glass painting done on set. 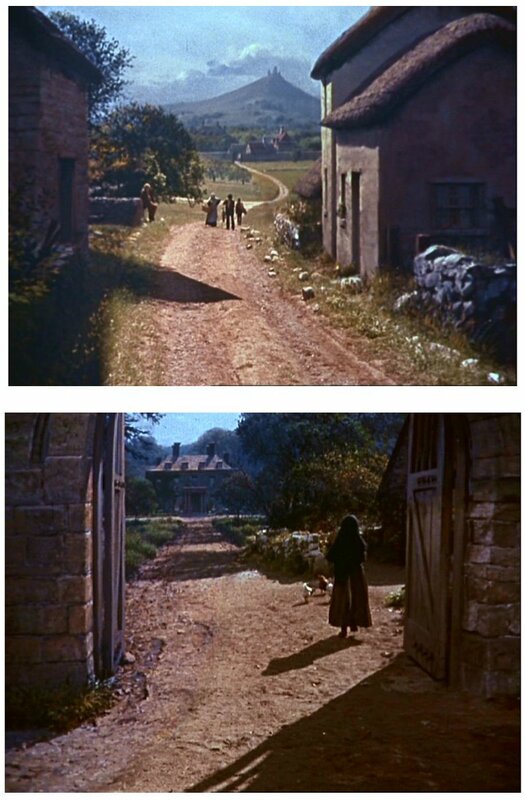 The centrepiece of "SUNRISE" - the amazing romantic stroll through heavy traffic and imperceptibly into a tranquil glade all in one long and uninterupted shot, with some traffic passing in front and some matted behind the actors. This appears to be a superb example of the Williams Travelling Matte method as Frank Williams was in charge of special photographic effects (uncredited) for this picture. Still frame grabs don't easily convey the brilliance of this trick shot here, though I'm sure that those who have seen it will agree that it is a superlative example of early optical effects compositing. Williams invented (as far as I'm aware) the travelling matte and patented same in 1918 as The Williams Process. Initially and for some 15 years it consisted to a large extent of the black backing method where an complementary opaque moving mattes were able to be pulled from footage through high contrast printing of properly lit actors performing in front of 'black'. Williams also had a variation whereby white backings could be used and much later he invented the blue backing system. 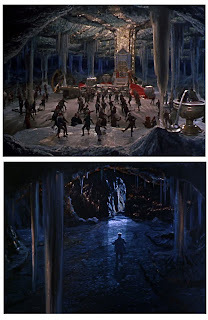 Williams process was heavily utilised in "THE MOST DANGEROUS GAME" in all of the waterfall sequences,"THE LOST WORLD", "KING KONG" and "SON OF KONG" among others. Master effects man John P.Fulton trained in photographic effects under Frank Williams and would utilise this black backing method extensively in 'THE INVISIBLE MAN" and I suspect "FRANKENSTEIN" for the windmill sequence. 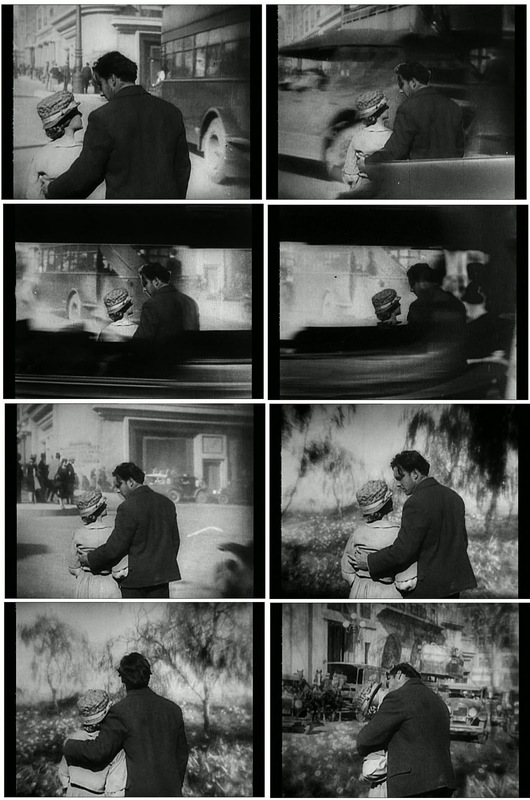 For the above sequence the couple were filmed out of doors in natural light with a grip carrying a large black card in front of couple as they walked - thus allowing a matte to later be 'pulled' from the footage and astonishingly to allow absolute credibility in the lighting, shadows and fluidity of movement that could never be achieved on a treadmill in the soundstage nor by process projection. Utter brilliance! 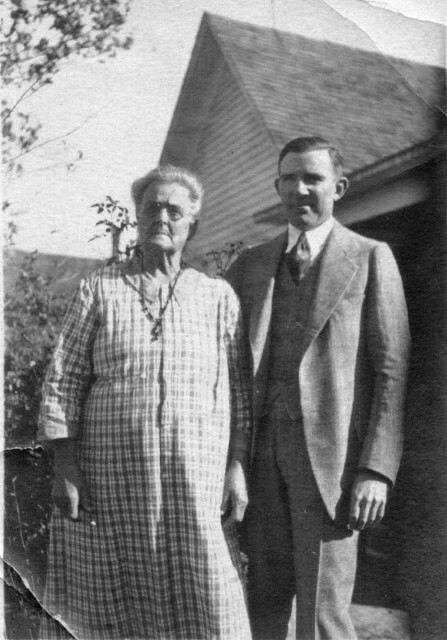 Optical effects pioneer Frank Williams seen here with a family member. 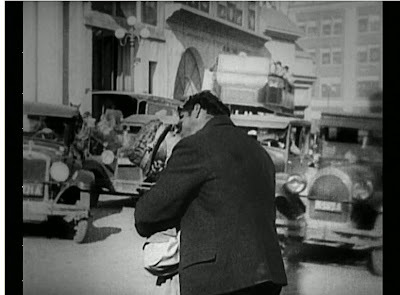 The closing frame of the sequence where after a cutaway from the optical comp to some honking car horns we resume with the shot - or at least a real time street scene with actors in traffic to allow a camera move and subsequent follow on plot development. The match is invisible and the shots in no way stand out as process. I'm trying to recall, but from reading up on this years ago I think the city was all forced perspective on a backlot. 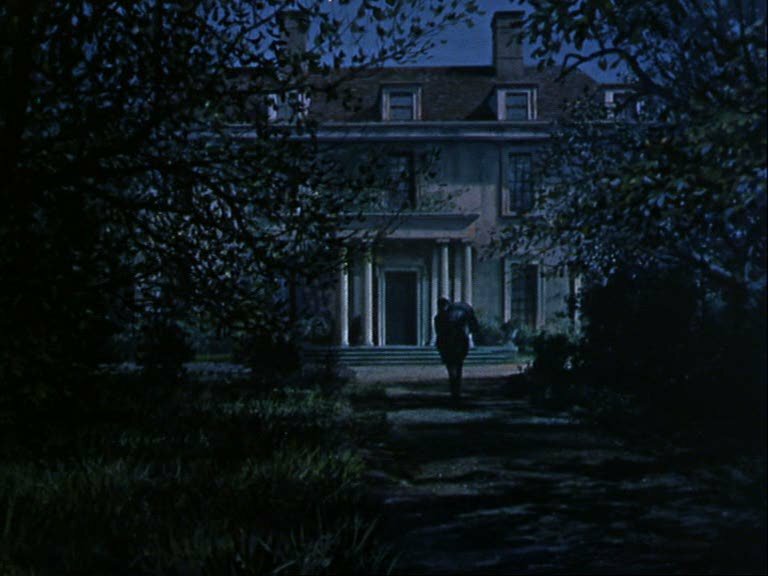 There were a number of slight forced perspective interior sets in the film and oddly constructed doorways and such for dramatic effect rather than visual effect. 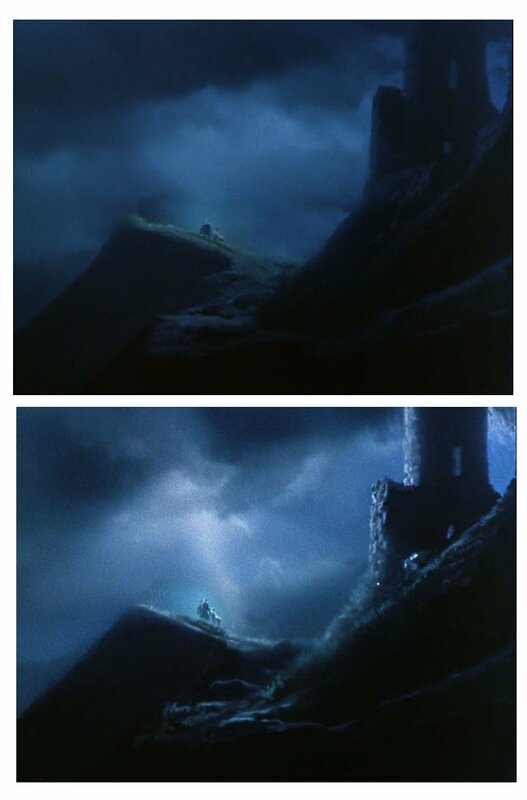 The lower frame may be a partial matte with walls and 'God rays' painted in. A really impressive storm sequence with excellent animation overlays of lightning and terrific full scale tank effects. If there was process projection it was damned good and utterly perfect match up. Final scene and what I'm fairly sure would be a painted sky and moon. 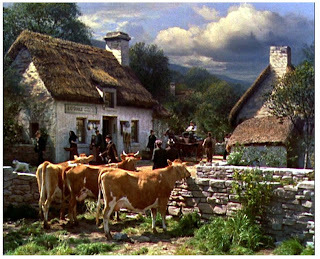 DARBY O'GILL AND THE LITTLE PEOPLE - Disney's feast for the eyes in raising the bar for special visual effects. I want to take this opportunity to pay tribute to "DARBY" and his creators. It's a film that is often neglected yet still stands the test of time. In fact I would be hard pressed to nominate anything that Disney had done since, effects wise, that looks as damned good as "DARBY". 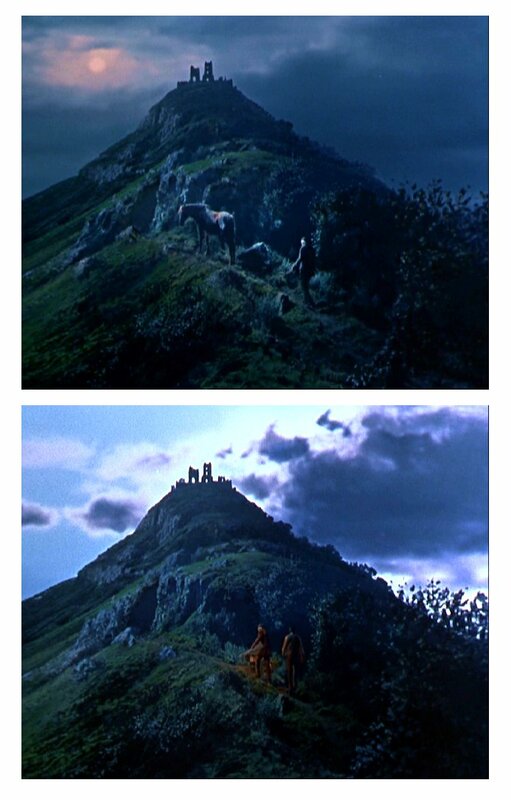 One of my all time favourite visual effects films - a film that was unjustly ignored by the holier than thou Academy of Motion Picture Arts and Sciences in 1959 - a fact that still irks me! 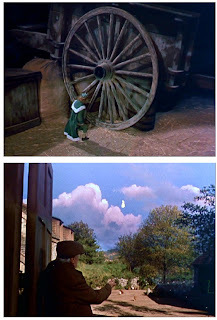 That year was the year of BIG visual effects films at the Academy - "BEN HUR" and "JOURNEY TO THE CENTRE OF THE EARTH" - both great films and great effects films (which I will cover here in upcoming posts), yet I still say that Disney's 'little' epic "DARBY O'GILL AND THE LITTLE PEOPLE" could have had a good chance there. 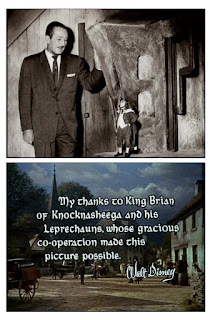 The big MGM and big Fox films were no doubt largely in as they were epics in every sense of the word. "BEN HUR" was a pre-ordained winner in all categories, largely based on the success of the picture itself, a fact that often swayed the voters in the day. 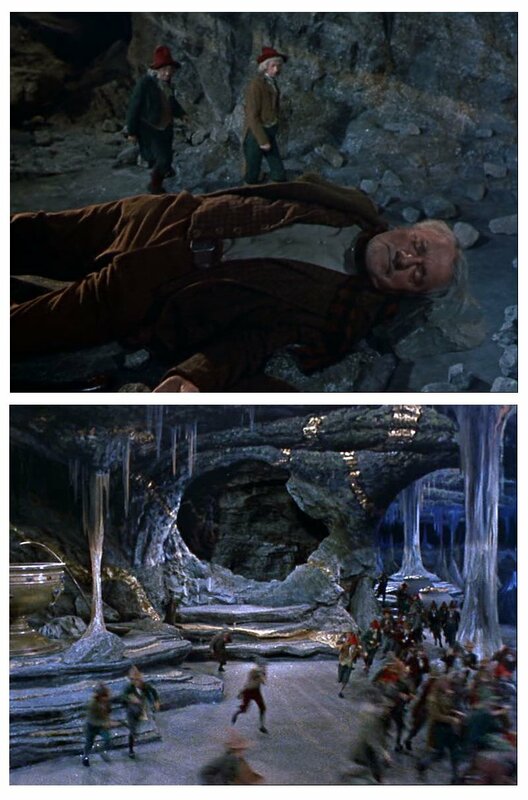 As good as both those films were and still are, when it comes down to visual effects that year I don't think they could surpass the quality and ingenuity of Disney's effort. 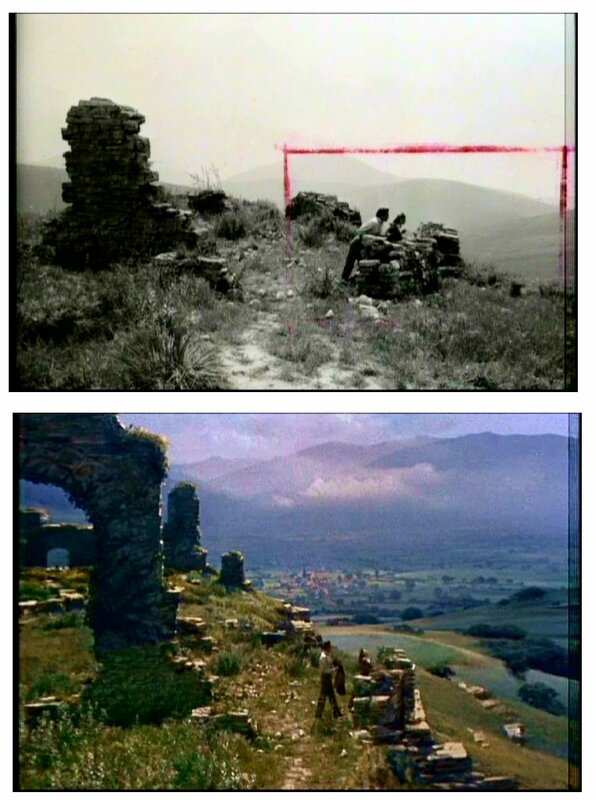 Above - The first exquisite split screen matte painting that opens the film with Peter Ellenshaws' preproduction oil sketch for the effects shot seen at the bottom. A rare photograph of the visual effects team on "DARBY". 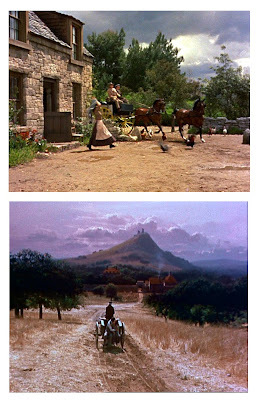 Some of the wonderful, evocative matte paintings that grace "DARBY" from start to finish. The views above are typical Ellenshaw - extremely limited set or location and substantial enhancement by matte art which in these examples consists of practically the full frame. Above - a gag photo of photographic effects supervisor and fellow Englishman Eustace Lycett with Ellenshaw seemingly swamped in negative. 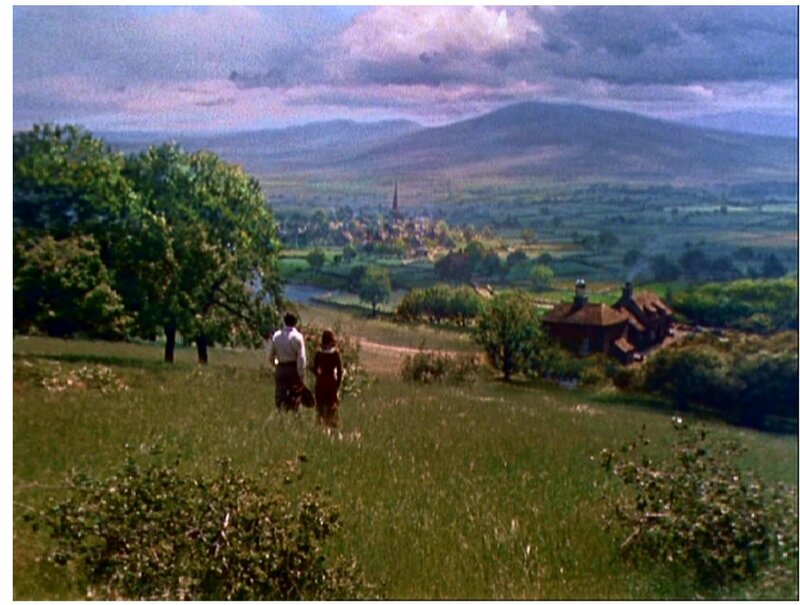 "DARBY" has an extraordinary volume of photographic effects that are beautifully utilised to give that idylic Disney feel to all of the exteriors, with here a classic Ellenshaw sky. More matte magic from one of cinemas' true visionaries of the the application of the glass painting, Peter Ellenshaw. 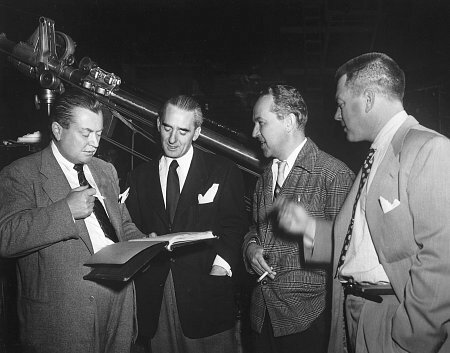 The matte department at Disney at that time (1959) also had Albert Whitlock and Jim Featherolf, and I think too the beginning career of Constantine 'Deno' Ganakes. 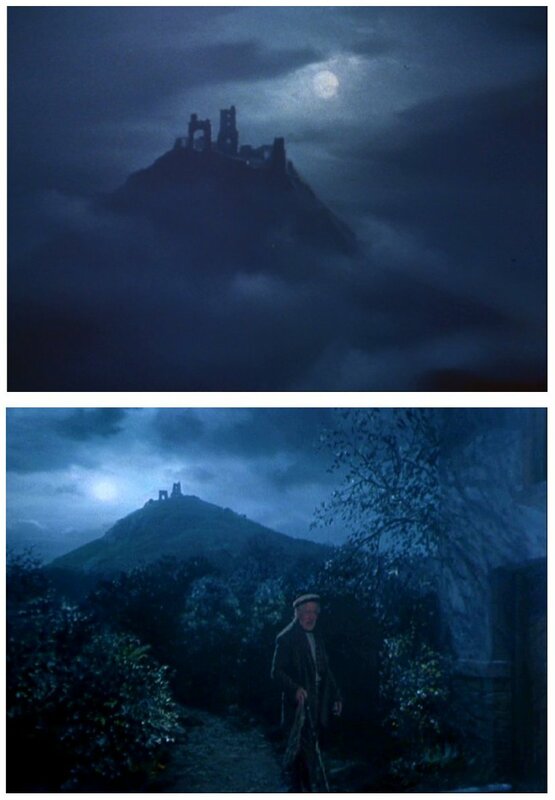 Featherolf began his film career as a part time actor back in the late 40's i believe and graduated into matte painting at 20th Century Fox in the 50's where he would work with a young Matthew Yuricich largely doing matte gags such as animation of neon lights for matte paintings and rotoscope work. 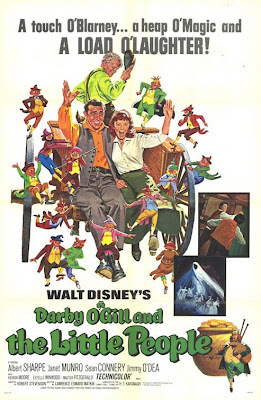 Ganakes had a long career with Disney and worked on "POLLYANNA" and "MARY POPPINS" (as did Featherolf) and worked up to their last big effects movie "THE BLACK HOLE" in 1979. 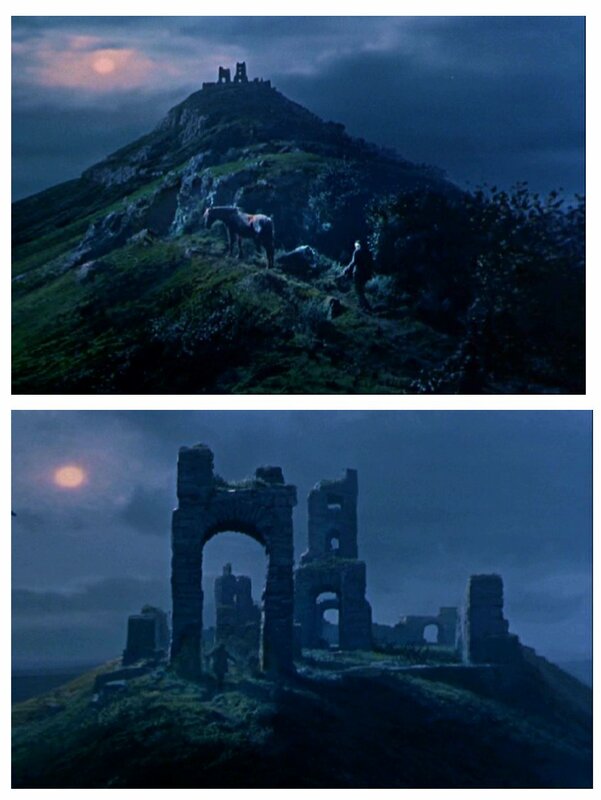 Ganakes also painted with Matthew Yuricich on "GHOSTBUSTERS"
A rare before and after shot again demonstrating Peters' inate sense of just what makes a scene work. An excellent example of the Ellenshaw technique. Why split the frame in an obvious manner when it's more feasible to simply paint practically everything in -foreground included. Not many matte painters had this bold approach to achieving the final shot. 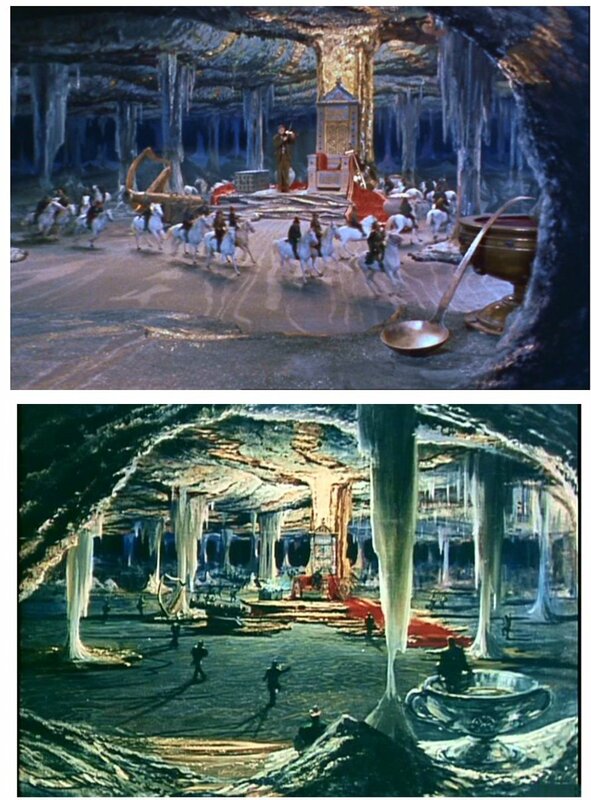 Not only does "DARBY" have many wonderful matte shots but also a number of lovely cell animation effects by long time career animation supervisors Joshua Meador and John Hench. Another great before and after matte shot with classic Ellenshaw backlit scenery painting preference which is so identifiable in so many of Peters' decades of matte shots and in his personal fine art. Atmospheric matte paintings with moving clouds and that wonderful Ellenshaw moonlight. Just fantastic. 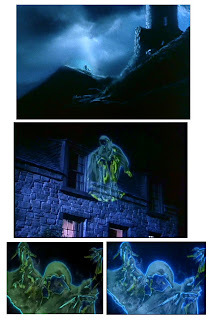 Presumably the composites were Disneys' in house rear projection method as the upper frame suggests a slightly washed out live action plate which is barely noticeable. Practically all of the matte composites look terrific with little or no tell tale signs of process work or duping. To my knowledge the only Disney films that used latent image original negative to any extent were "TEN WHO DARED" which Albert Whitlock also painted on, "SWISS FAMILY ROBINSON" and "20'000 LEAGUES UNDER THE SEA" which were largely in-camera glass shots. 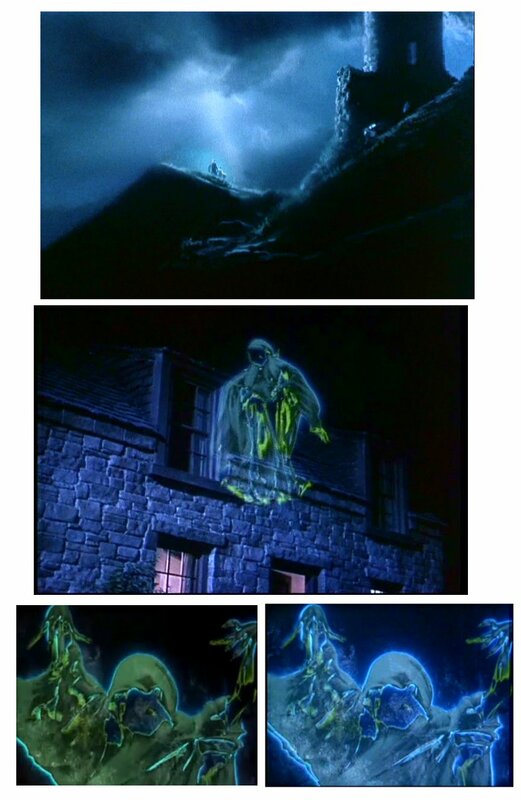 Some frames from the eerie and quite frightening Grim Reaper sequence which I assume were optical solarisation tricks using real footage of a stunt player and executed beautifully by Eustace Lycett and Bob Broughton on an optical printer. Upper frame - Darby falls down the well into the land of the little people. 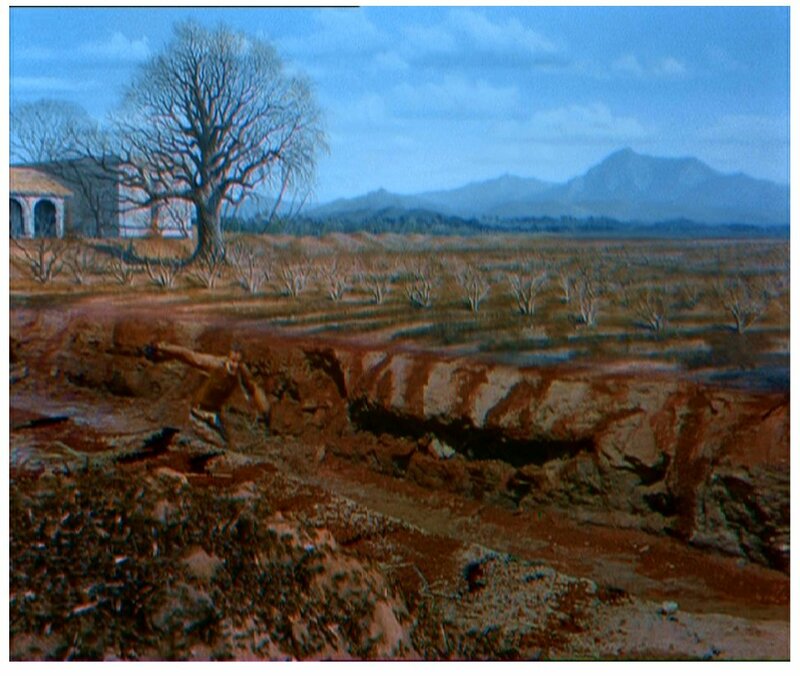 A full frame matte painting with actor Albert Sharpe doubled in via travelling matte. Lower frame a sample of nice effects animation. 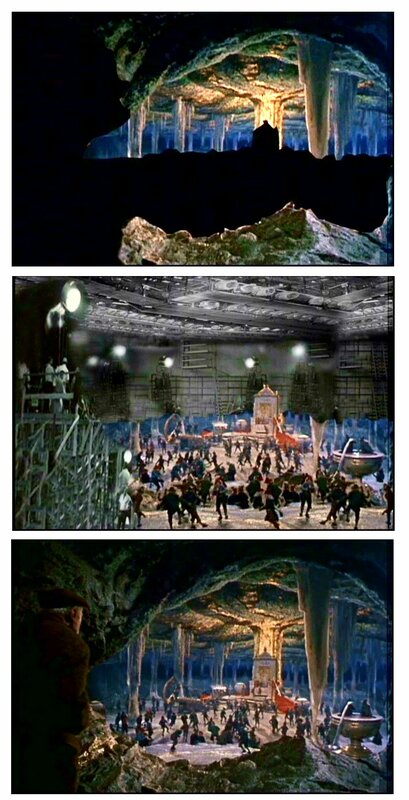 A breakdown of the matte process for King Brians' lair. A wider view of the little kingdom with substantial addition of painted cavern. Aside from excellent matte effects the film is notable for it's extraordinary use of forced perspective camera setups and actor placement. 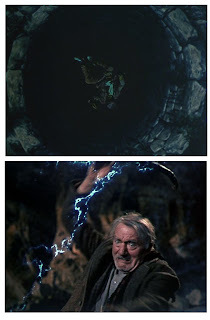 Probably the finest example of this special technique ever up to Peter Jacksons' superb utilisation of the method in the "LORD OF THE RINGS" trilogy. 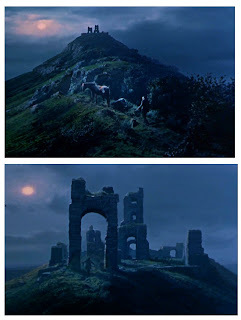 Lower frame is Ellenshaws' pre-production oil sketch of King Brians' lair. 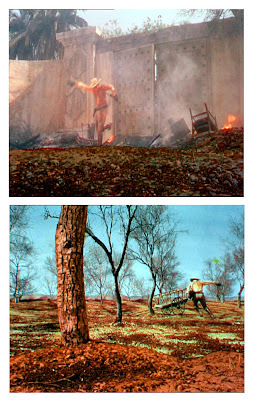 Noteworthy is the use of the long defunct effects technique known as the Schufftan Shot - a versitile in camera 'matting' technique involving the precise orientation of a mirror within a set or miniature to reflect live action positioned elswhere in real time. Whether the whole mirror or just a partially scraped away mirror surface was employed depended on the need of the visual effect. A very time consuming trick to set up but excellent first generation composites result providing the mirror and so forth are carefully aligned. The technique was developed by the cinematographer Eugene Schufftan in the 1920's and was widely used in Europe and Britain in early cinema and is practically invisible to the eye of the viewer. Precise registration of camera pin movement isn't a neccesity here as all compositing is achieved in camera in a single pass. 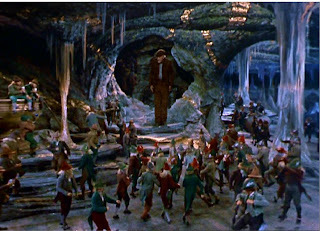 Darby takes a walk among the little people - a shot that would suggest optical manipulation yet like so many of the effects shots involving scale in the picture is all carried out in camera in one pass Separate sets of differing scale are set up approx 25 feet apart, with the foreground limited set consisting of nothing more than a bit of walkway and some puppeteered 'little people'. The furtherest away set with all the actors is carefully aligned and it's floor is painted and dressed to blend specifically with the 'big' foreground floor. 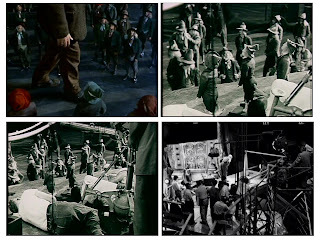 Actor Albert Sharpe walks along a narrow raised platform amid carefully manipulated puppets and complete with a free camera pan the illusion is complete - and perfect. Big props! "My, what big feet you have"
Upper frame - classic perspective trickery all done in camera. 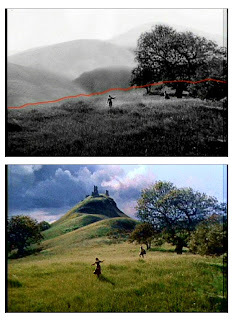 Visual effects man Randall William Cook was so taken with "DARBY"s technical virtuosity that he used all of these techniques in the 1988 film "THE GATE" and later on worked closely with Peter Jackson to implement the same old school, low tech, hands on film trickery for all three of the "LORD OF THE RINGS" pictures, to brilliant Oscar winning effect. Lower frame is another Ellenshaw painted set extension. The complicated and wholly convincing Schufftan shot whereby Darby takes a walk toward camera - an invisible special effect if ever there was one. 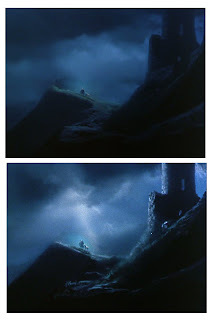 The little people leave their hidden kingdom .- a series of animated cel lightning bolts, matte paintings, miniature cave wall, split screens and more.... great stuff. Upper frame - Albert Whitlocks' painted wagon wheel and set extension. 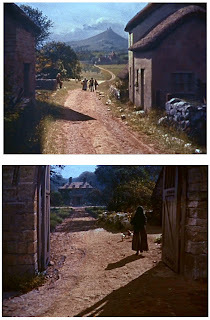 Whitlock whose painting style was largely influenced by the Ellenshaw impressionistic method called this film "...a tour-de-force for Peter Ellenshaw". The lower frame is almost entirely painted - with the sky, trees, barn and even most of the doorway added by the matte artist. Magnificent pastoral scene all straight from the brush of Ellenshaw. Exciting lightning phenomena adds so much to the matte shot. Presumably a separate glass for the skies, which move subtley. 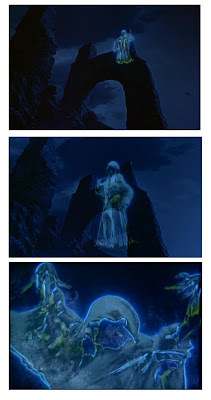 Pretty scary for a 'G' rated kids Disney film - quite dark in fact. 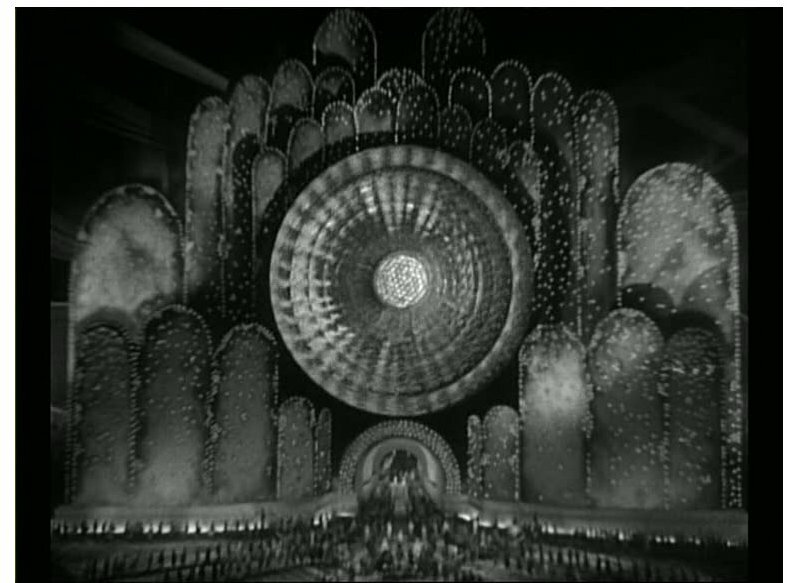 An unforgettable (especially for the tots in the audience I suspect) visual effect set piece, again an actor solarised in some fashion by Eustace Lycette, Art Cruickshank and Bob Broughton. Sean Connery in his early career - and a house that isn't actually there... just Connery, a bit of pathway and a door! 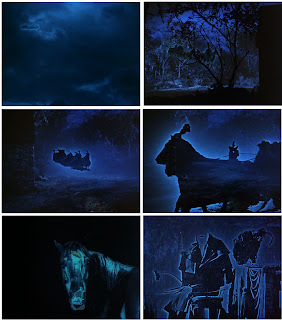 Arguably the most nighmarish imagery ever to appear in a Disney picture... the Grim Reaper and headless coachman come to take away Janet Munro - and he can't quit now as once the death carriage has left 'hell' it can't go back empty handed! Jeez Walt!! The stuff nightmares are made of. 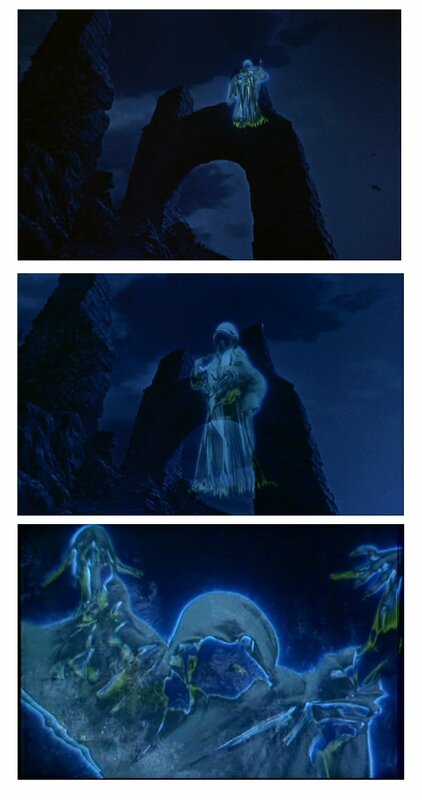 I reckon Peter Jackson based his Lord of the Rings Ringwraiths on this vision. Atmosphere so palpable one can almost cut it with a knife... fabulous matte art and lightning animation - as good as it gets folks. And so ends out trip down memory lane to a time when Disney made fantastic adventures, effects were all done by hand and the Academy were swallowed up by the huge biblical epic!